I’m a sucker for Dim sum! 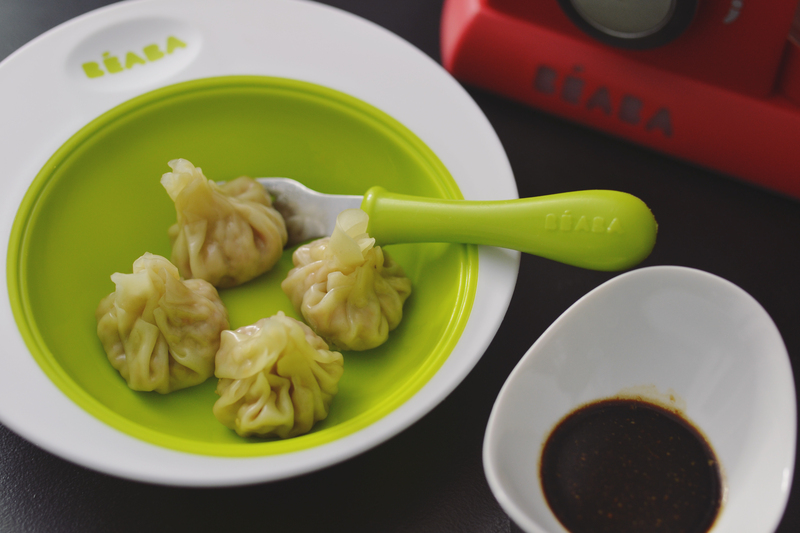 If you’re a lover of dumplings, check out this tasty recipe using the Beaba Babycook Pro! 1. Put the carrots mushrooms and scallions in the blending bowl and post to chop. 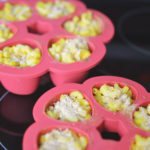 Remove to small bowl. 5. When the vegetables are cooked, remove the steamer basket. Discard the cooking liquid. 6. Put the cooked vegetables and chicken mix in a mixing bowl add the grated ginger sesame oil soy sauce and cornstarch. Pulse to blend. Remove and wash the bowl. 7. Line the steamer basket with one lettuce leaf. 8. Lay each wonton wrapper on a cutting board and brush with egg white. 9. Place 1 tablespoon of filling on each wonton rapper; gather up the sides and pinch the top to close. 10. Gently place to take three dumplings in the steamer basket atop the lettuce leaf. Tried to keep them from touching. 12. Start the cooking process. 13. When the dumplings are cooked gently remove them from the basket with a fork. 14. Repeat the process for the remaining dumplings. 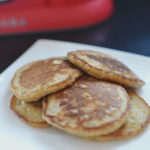 Serve with sweet soy dipping sauce! Put all the ingredients in the blending bowl and blend to combine.